Smooth sailing ended in 1966 as Congress passed a law that outlawed vessels with a wooden superstructure from carrying more than 50 overnight passengers. The law was originally intended for ocean-going cruise ships, but the Delta Queen – never far from the river banks – was ensnared in the regulation. Company official petitioned Congress and ultimately were granted an exemption from the regulation. On August 1, 2007, the Delta Queen’s current owners, Majestic America Line, conceded their efforts to renew the current exemption (which expires Nov. 1, 2008) had been unsuccessful and announced 2008 as the Delta Queen’s farewell season. But in October 2007, Ohio Congressman Steve Chabot introduced House Resolution 3852 to extend the Delta Queen’s exemption. Congressman Chabot’s bill has been consistently blocked from moving through the House Transportation Committee by Committee Chairman James Oberstar (Democrat-Minnesota). Congressman Oberstar cites safety concerns despite the fact that he previously has voted for the boat’s exemption. In April, Congressman Chabot attempted to attach the Delta Queen’s exemption to the Coast Guard appropriation bill. The House Rules Committee voted 9 to 4 against allowing the amendment. All votes against the amendment were cast by Democrats. On April 24, 2008, Congressman Chabot’s Motion to Recommit (which allows members of Congress to vote on whether the amendment can be added) failed by only 7 votes. This defeat was quickly followed on April 29, 2008 by Majestic America Line’s announcement to offer for sale the Delta Queen (and all six other vessels in their fleet). In early August, Ohio Senator George Voinovich committed to introduce a bill for the Delta Queen exemption in the Senate following his return to Washington in September. Majestic America Line’s parent company Ambassador International reported in August that they hope to finalize a sale by the end of September. Majestic America Line is conducting a series of Tribute Events in 27 Delta Queen ports of call to rally support and acknowledge the hospitality of every river port visited in the 2008 season. 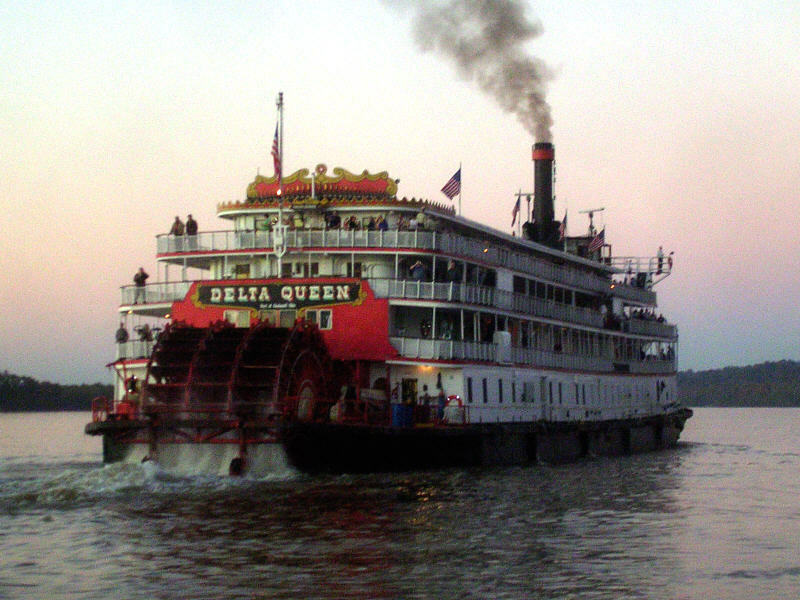 A grass-roots effort has also hosted events and increased awareness as part of the Save the Delta Queen campaign. 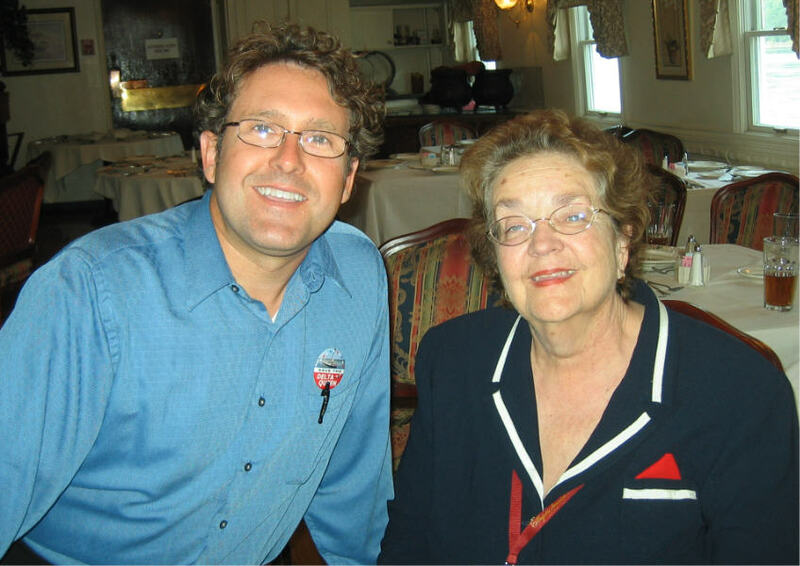 For more on the legislative struggle to save the Delta Queen, click HERE. 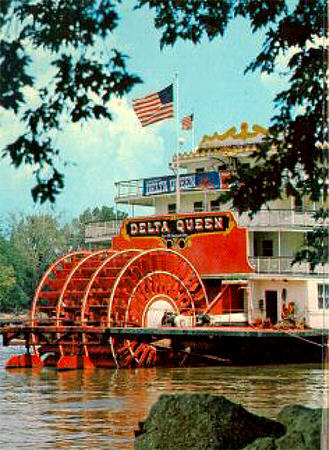 After the war, the Delta Queen was put up for auction. 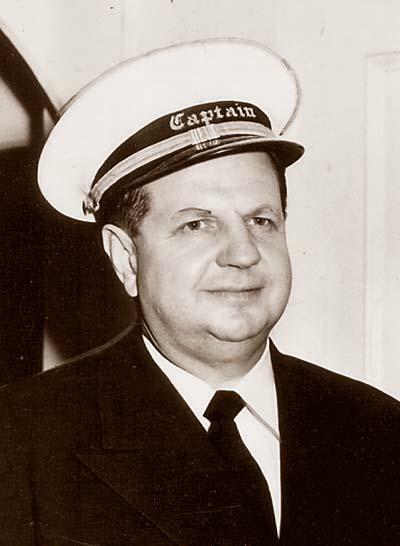 In December 1946, Cincinnati, Ohio steamboat Captain Tom Green of the Greene Line Steamers became the new owner for $46,250. By spring of 1947, the Delta Queen was boarded up and was then towed for almost a month for more than 5,000 miles from California through the Panama Canal to the Mississippi River and to New Orleans. The planking was then removed and the engines serviced. In July, the boat proceeded under its own power almost 2,000 miles up the Mississippi and Ohio Rivers to the Dravo shipyard at Pittsburgh where the boat spent six months undergoing major renovations costing about $750,000. 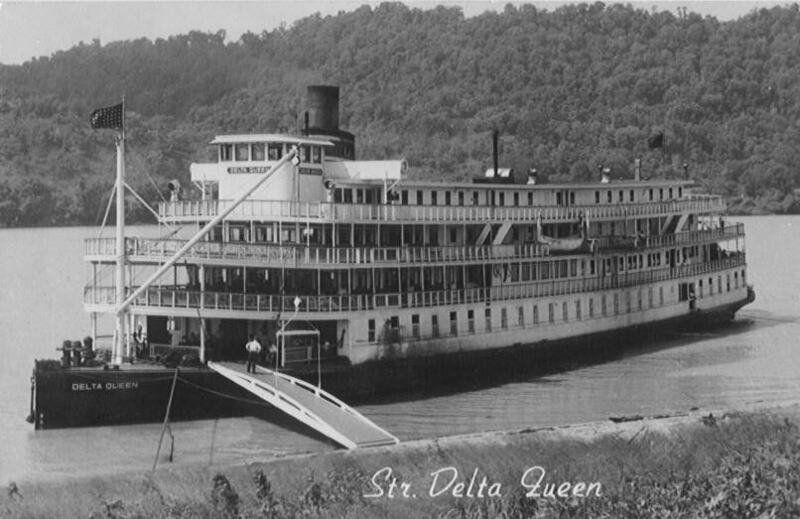 The Delta Queen departed on her debut Ohio River cruise on June 30, 1948. Captain Tom Greene had a heart attack onboard the Delta Queen and passed away on July 10, 1950 at the age of 46. His widow Letha Greene was left to run the company. She later wrote, “I stood alone with four steamboats, four children, a broken heart and puzzled mind.” By 1953, the other three boats had been sold to enable continued operation of the Delta Queen. After major repairs were required in 1957, Letha offered the boat for sale in 1958. California businessman Richard Simonton became majority shareholder and retained Letha as General Manager and company president. Simonton focused on increasing marketing and public relations to garner media attention. 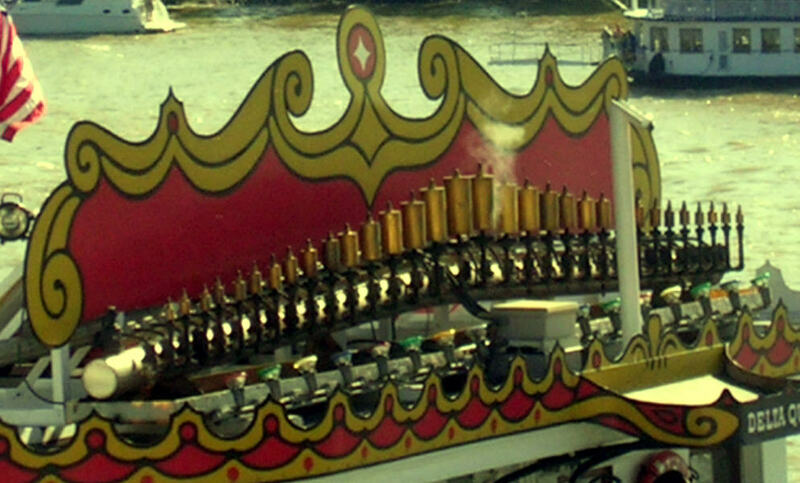 The Delta Queen’s calliope (steam organ) was added and debuted in February 1960. The boat became profitable and the mortgage was retired in October 1960. By 1962, all debts were cleared and by 1964 a profit-sharing plan for employees was even established. Check back for another post continuing the Delta Queen’s history. A Brief Summary of the Delta Queen’s history. 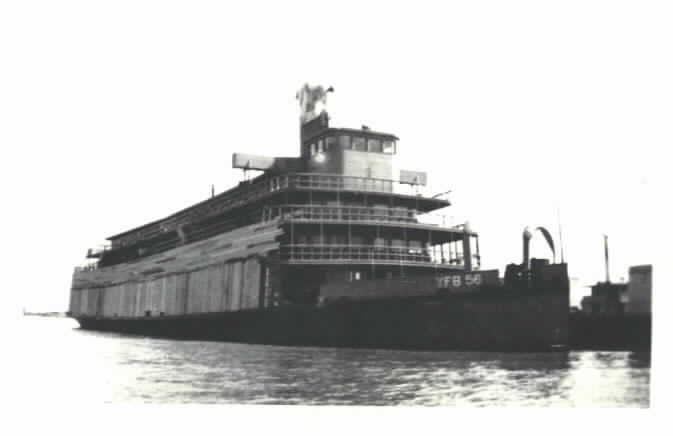 Delta Queen during World War II. CALIFORNIA YEARS — The Delta Queen was built in California of the finest machinery and materials at an unbelievable cost of more than $875,000. She made her debut cruise on June 2, 1927 and ran overnight trips between Sacramento and San Francisco for the next 13 years through the economic and labor struggles of the Depression. Her final California passenger cruise was Sunday, Sept 29, 1940. From autumn 1940 to August 1946, the Delta Queen served the U. S. Navy as a floating barracks, a training facility, and troop transport in San Francisco bay. Check back in for the next post as the Delta Queen prepares for a new life.